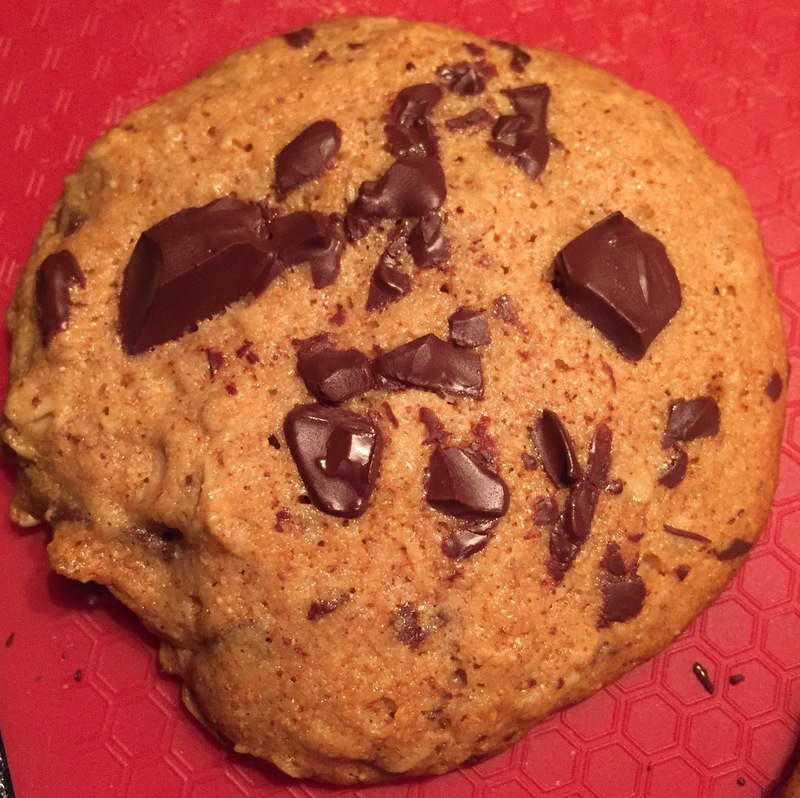 Honey Whole Wheat Chocolate Chip Cookies – Finally, a “clean” chocolate chip cookie that truly tastes and looks like a chocolate chip cookie. I dare you to eat just one. Indian Summer Chili – I know, here we go again with this recipe. The hubs requested it one last time before warmer weather hits and chili is “out of season.” It really is a great take on traditional chili. BBQ and cumin in chili is a winning combo. 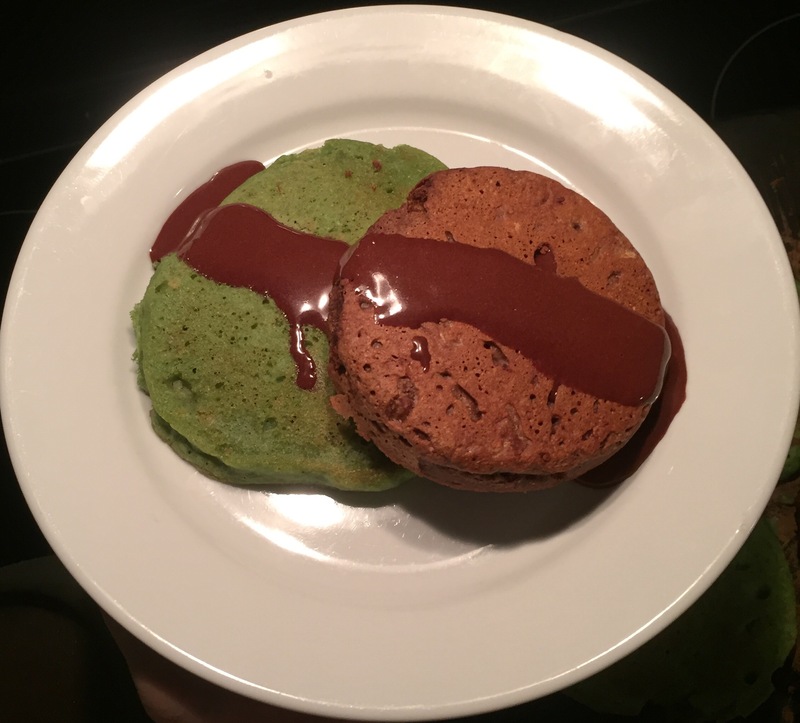 Mint & Chocolate Pancakes with Homemade Chocolate Sauce – Breakfast for dinner? Yes, please! This was our St. Patrick’s Day dinner. Perfect, right? Not so much. The homemade chocolate sauce was so rich that it overpowered the pancakes. Next time, I’ll used mint extract flavored homemade whipped cream and drizzle on a bit of the chocolate sauce. 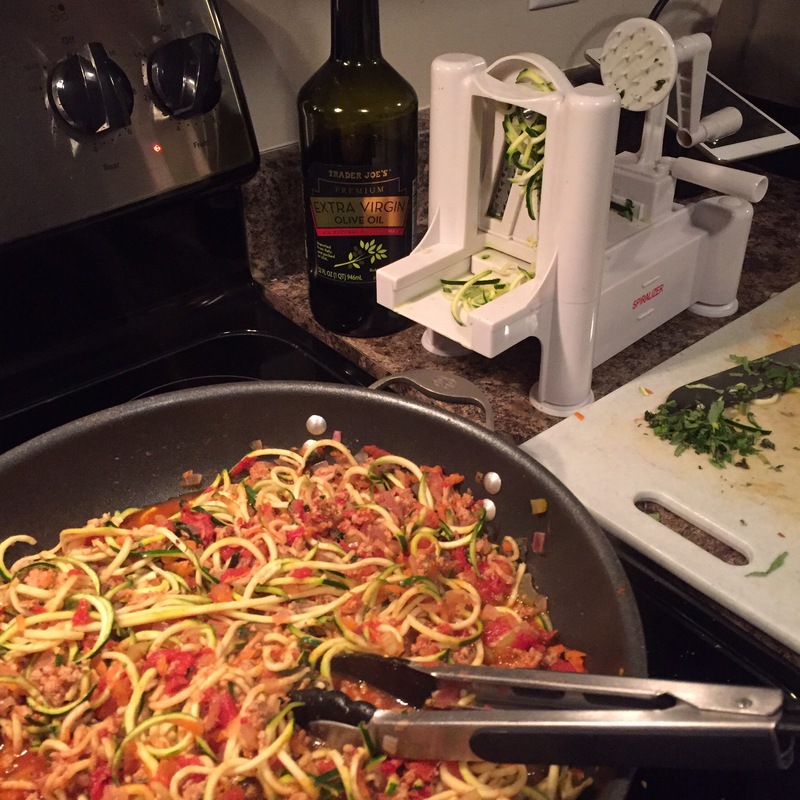 One Skillet Turkey Bolognese with Zucchini Pasta – Craving pasta for dinner but trying to reduce carbs? I’ve got the solution to your conundrum so long as you are willing to give zucchini pasta a shot. I promise you, this is good stuff!! 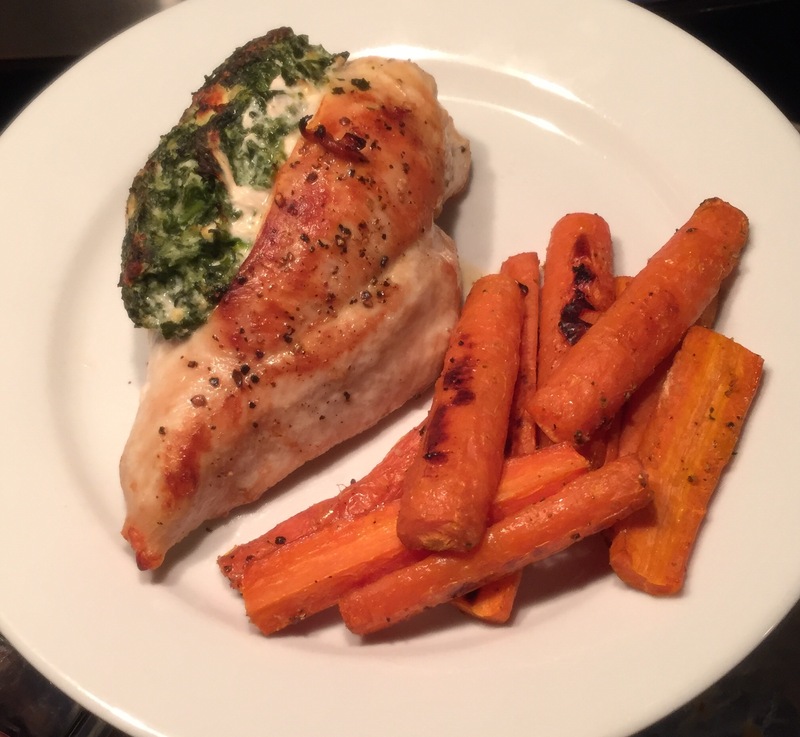 Spinach and Feta Stuffed Chicken Breasts with Roasted Carrots – Consider this any night of the week because it’s fast and easy. But, don’t overlook it as an entertaining option either. Creamy and cheesy [stuffing] always compliments chicken and roasted carrots make for a perfect side. Hope something makes your belly smile. Directions: Preheat oven to 325 degrees. In a small bowl, stir together the dry ingredients. In a slightly larger bowl, whisk together the wet ingredients. Add the dry ingredients to the wet. Gently stir until just under-stirred. Stir in the chocolate chunks, reserving a few to sprinkle on the tops of the cookie mounds. Create cookie mounds with a scoop or two tablespoons. Flatten mounds by hand just a bit. Sprinkle with the remaining chocolate chunks. Bake on a silicone lined baking sheet or baking stone for approximately 12 minutes. Directions: In a small bowl, stir together the dry ingredients. In a separate, slightly larger bowl, whisk together the wet ingredients. Very gently stir the wet and dry ingredients. Separate the batter into the mixing bowls. 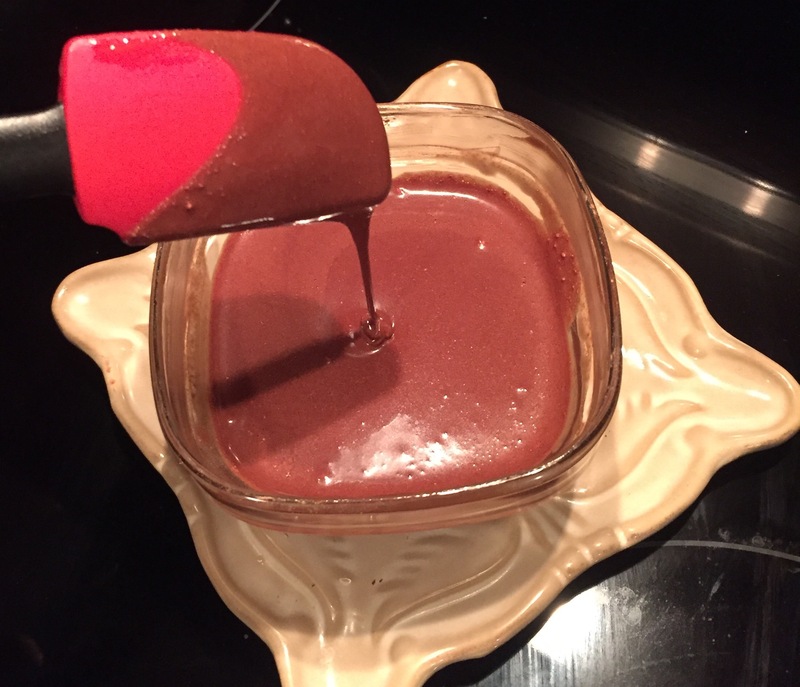 To one batter, stir in the chocolate. To the other batter, add the peppermint extract and green food coloring. Directions: Whisk together the first three ingredients. Add water (or milk) to obtain desired consistency. Directions: Heat a large skillet to medium heat. Add olive oil to coat the bottom. Add turkey and break into tiny pieces. Season with salt/pepper. Cook until no longer pink (about 5 minutes). Add the onion, carrots, and red pepper flakes. Cook until the vegetables are softened (about 3 minutes). Add the garlic, allowing it to cook for 1 to 2 minutes (do not overcook). Add the tomatoes, oregano, and coconut palm sugar. Bring to a boil. Reduce to a simmer and cook for 10-15 minutes – uncovered. (This will allow some of the liquid to cook out). Add the zucchini. Use tongs to gently mix the zucchini into the sauce. Allow zucchini to cook until slightly softened (approximately 5 minutes). Stir in the fresh basil and cheese. Plate and finish with a drizzle of extra virgin olive oil and a bit more Parmesan cheese. Timing Tips: First prep. the carrots and the chicken stuffing. Roast the carrots. In the meantime, finishing preparing the chicken. The carrots and chicken will end up in the oven at the same time. Directions: Preheat the oven 450 degrees. Slice the carrots in half lengthwise and then quarter the halves. In a large bowl, toss the carrots in the olive oil, sea salt, black pepper, paprika, and cumin. On a baking sheet lined with parchment paper or foil, and arrange carrots in a single layer. Bake for 20 minutes (flipping over with a spatula halfway through roasting). Directions: Preheat the oven to 450 degrees. In a small bowl stir together the stuffing ingredients. In the thickest part of the chicken breast, slice a pocket (be careful not to slice all the way through). Stuff ¼ of the mixture into each chicken breast. If needed, secure the stuffing with a toothpick. Heat an oven-safe skillet to medium heat. Add the olive oil to coat the skillet. Pan sear the chicken (4 minutes on each side). Transfer the skillet to the oven and bake 5 additional minutes or until the chicken is done. Note: Whatever you do, do not cut the chicken for doneness. You should be able to see the chicken cooking up the sides. When it is no longer pink on the sides, the center should be done as well. If you must cut, wait at least 5 minutes after removing from the oven before doing so. A premature cut will result in bone dry chicken.